Squash and Bean Swap – what’s it all about? At Bandstand Beds we’re into the joy of germination. 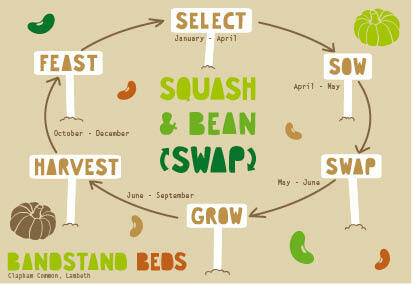 The Chelsea Fringe, 18th May – 9th June, has inspired us to make an event of swapping squash and bean seedlings. It’s the perfect time, after all risk of frost has passed. You’re invited to the Squash and Bean Swap, Lambeth 2013. Share your seedlings at Swap events at community gardens all over Lambeth. Network with other growers across the borough. All are welcome whatever the level of experience: community gardens, schools, individuals, families and other groups. Then it’s a summer of watering and tending. Share your growing and cooking tips on facebook. In autumn there’s harvest, produce competitions, cook-offs, feasting and a recipe book.Find our constantly updated year-long calendar of events, top tips and info on our website and facebook. Beans for drying and squash are grown all over the world for winter eating. Summer sunshine is converted to protein and carbohydrates. The fruits are choc-full of minerals and vitamins to see through the dark months. Want to get involved? Contact us (click). Join us for a kick start meeting to the Squash and Bean Swap on Thursday 21st March – see here for details. 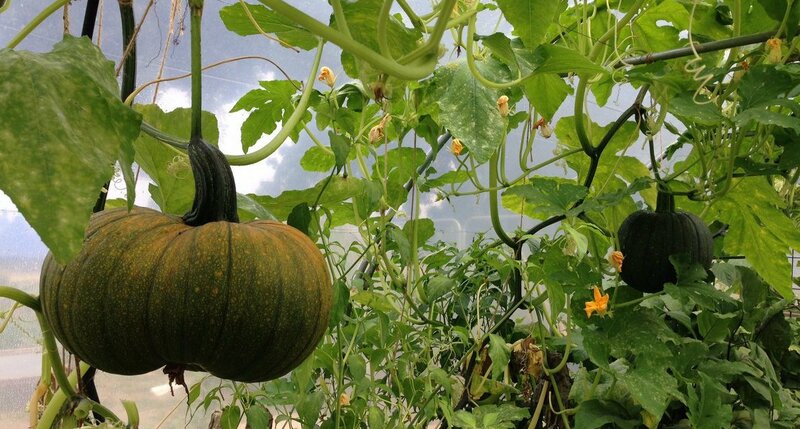 Mar 4, 2013 | Posted by admin in Uncategorized | Comments Off on Squash and Bean Swap – what’s it all about?